Troop 1563 meets weekly on Monday nights from 6:30pm to 8:00pm at Bethany United Methodist Church located at 1110 Echo Lane. 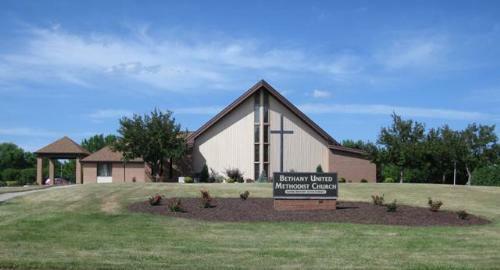 Bethany Church is located a few blocks southwest of Lambeau Field in the Village of Ashwaubenon. Take the Lombardi Avenue exit east to Lambeau Field. Turn right on Ridge Road. Follow Ridge Road just past Ace Hardware to Echo Lane. Turn right on Echo Lane. I-43 from south/east of Green Bay: Take Highway 172 west to Highway 41. Take Highway 41 north to the Lombardi Avenue exit and turn right on Lombardi Avenue. Drive straight toward Lambeau Field. Turn right on Ridge Road. Follow Ridge Road just past the Ace Hardware Store to Echo Lane. Turn right on Echo Lane. Why Should My Son Become A Boy Scout? The above statistics were taken from a 2005 study by Harris Interactive. Why Should I Become An Adult Volunteer? Boy Scouting is a boy-led, boy-run program, but the boys must be trained to be leaders. Adult role models in Scouting provide an ideal learning experience for all youth. Every adult volunteer has something valuable to offer. On a typical weekend camp out, Scouts might work with an adult volunteer who teaches the Fishing merit badge and with a Scout mom to learn orienteering, go on a 5-mile hike with another adult leader, and end the day learning how to clean and cook fresh fish from someone else.